Here is a haiti passport photo. 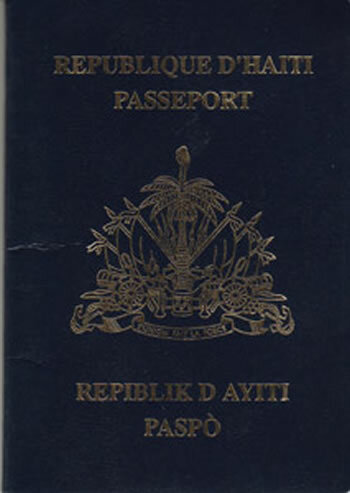 The official Haitian passport is dark blue in color and bears the Coat of arms of Haiti embossed in silver. On the cover of the Haitian passport, 'Republic of Haiti Passport' is written both in Haitian Creole and French.